You can’t know everything, but you need to know a few things about your jeans. That’s why we’ve provided a 5 min. education about your jeans… which startsss now! DIRTY CROP – Our jeans are made of cotton, which is a pretty dirty crop: Just 2.4% of the world cultivated land is planted with cotton, yet it accounts for 24% of the world’s insecticide market and 11% of sale of global pesticides. Therefore it is the most pesticide-intensive crop grown on the planet. TOXIC – Many chemicals are used when making jeans. 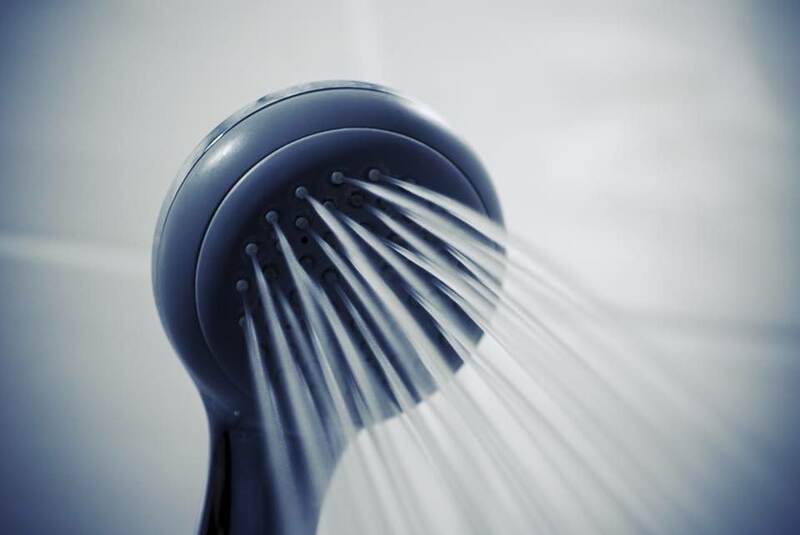 We may not be bothered by this right now, but this has a huge impact on the environment and on people. For example, there are different rivers in India in which all chemicals of the clothes production are dumped. This is also the place where people get their drinking water from. As you can imagine this leads to many destructive health consequences. For the full story check the documentary ‘The True Cost’ on Netflix! HIDDEN WATER – Our jeans consists of a lot of hidden water: the production of an average pair of jeans needs around 7000 liters of water. That is the amount of water we drink over a period of more than 10 years! However, the good news is: this is all so bad that we can only do it better. So you can close the tap while brushing your teeth, but by consciously buying a pair of jeans, you can really move mountains! You can do this by buying less jeans, a vintage one or a pair of jeans from a sustainable and fair brand. A brand that shows jeans can be made in a good way is MUD Jeans. MUD Jeans decided to cut the crap, uh crop, by reducing the use of more dirty crops through recycling. Because: waste = new material! All MUD jeans contain post-consumer recycled denim and organic cotton: which means less use of dirty crop. How does the recycling work? Our worn out jeans are sent to factories in Spain. Here the jeans are shredded and mixed with new organic cotton. 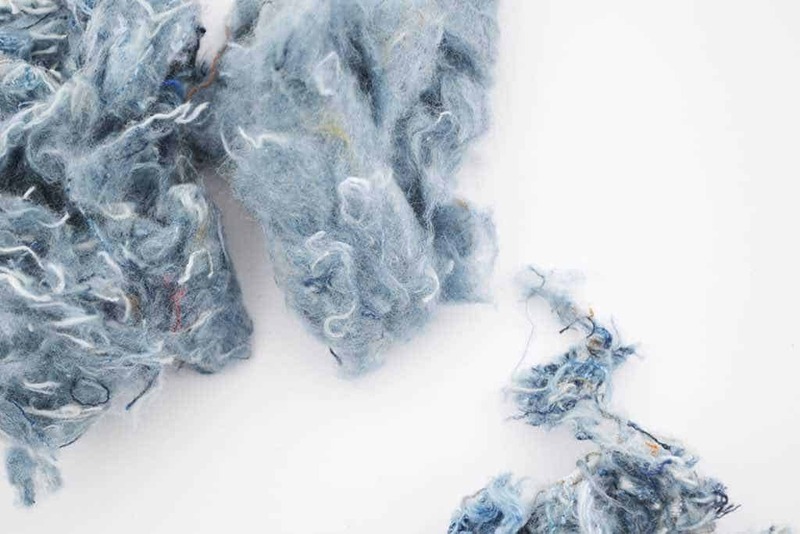 A new spun yarn containing recycled denim is born out of which new products are manufactured. MUD jeans has set the goal to make jeans that are of 100% recycled fibers. Yet the current recycling techniques causes fibres to lose strength. 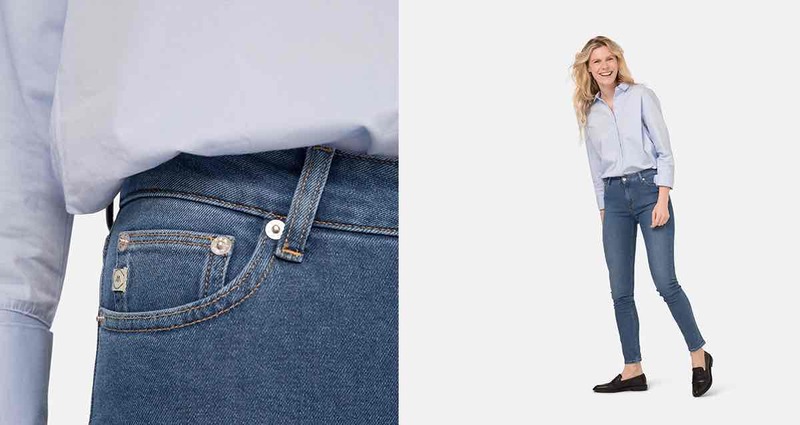 So to make sure that you can wear your jeans without the fear of tearing out of your pants; a pair of jeans is now limited to 40% recycled content. If you wear MUD Jeans you know for sure that they thought of every little detail. The starting point of their designs is recycling. That’s why they don’t make use leather labels but they use printed logo’s instead and buttons on knits are made out of recycled cotton. Because of this, MUD jeans is also vegan! Instead of 7000 liters or more, MUD Jeans uses 1554 liter water for one jeans. So, with buying one pair of MUD jeans instead of a regular jeans you save 5446 liter water: which is equal to about 156 shower turns! If that won’t make your day… On top of that Yousstex International operates water recycling stations in their facility, in which they recycle up to 95% of the water they use. There is a strange thing about us when it comes to jeans. When we buy new jeans we actually don’t want it to be really new. We like it when jeans has a ‘worn’ or vintage look. That’s why the just manufactured jeans needs to be made old. This proces costs lots of chemicals and heavy labour like hand scraping, sandblasting and potassium permanganate spray. However, MUD Jeans makes use of great alternatives like laser and ozone to give the jeans a special washing. By the use of laser they basically burn of the surface (and consequently part of the indigo dye stuff) of the yarns. The white, worn effect, will become more apparent after applying Ozone to it. With these processes they eliminate manual labour, the use of harmful substances and jeans will be stronger because yarns are less damaged by the manual brushing! Well, we neither most of the time… we want to have it all! Maybe you think this isn’t really consciously minded. And it isn’t: because on average, 30% of the garments in our closets have not been worn in almost a year. 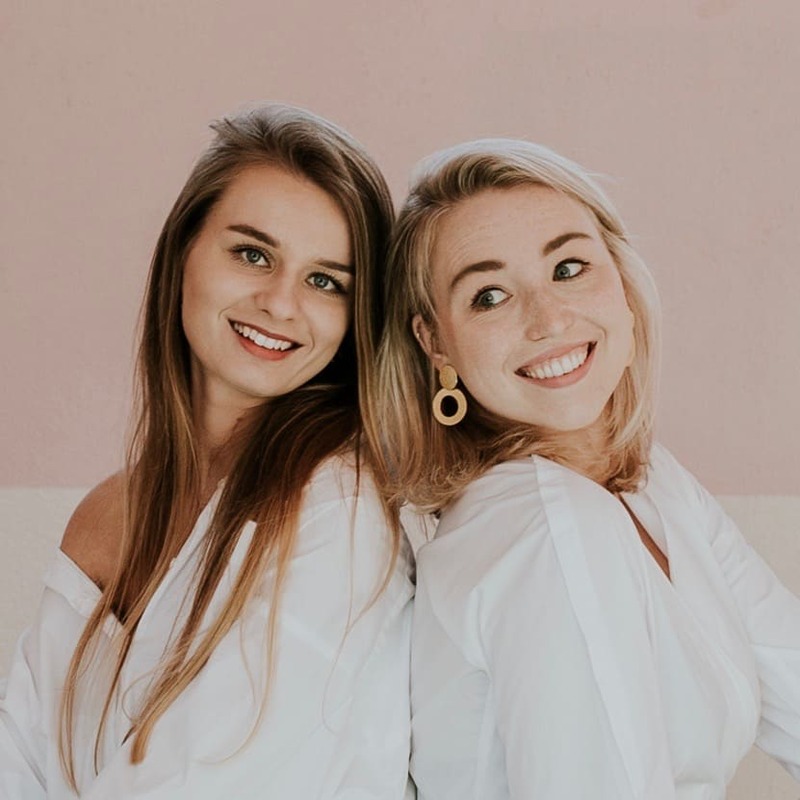 However, Mud Jeans has a great solution and shows that slow fashion doesn’t necessarily mean that you have to wear the same jeans over and over again. They started a new and unique formula in which you can lease a jeans. YUP, that right: lease! How does it work? You can choose a MUD Jeans and pay in 12 monthly installments of 7,50€. If you are a MUD jeans member, you can lease as many as three jeans at the same time! After one year, or when the jeans are worn out, you can send them back to Mud and try out a new pair. By leasing a jeans MUD jeans stays the owner of the raw materials and gets them back after use. …send out products with RePack, a returnable and reusable packaging that can be reused up to 20 times. But we have to keep our promise of our 5 min education so we’re going to finish. So, let’s just not buy any jeans if you already have enough jeans in your closet. But in case you do need one… check out our most wanted jeans below! As a thank you for our shoot and blogpost, we were so lucky to receive the jeans below from MUD Jeans. We love the design and their fit! We both had one size smaller than usual, so don’t forget to check their size guide beforehand :-). We love to know what your favourite is!